If you kept up on tech news during 2017, you probably remember that many outlets -- us included -- covered the "death" of net neutrality in December, when the Federal Communications Commission (FCC) led by Chairman Ajit Pai controversially voted to end the internet protections. For many internet users, this decision was highly concerning - according to its proponents, net neutrality is what gives smaller ISPs a fighting chance against bigger companies, and it's what protects consumers from unsavory business practices, such as website blocking, paid prioritization, and more. Whether you agree with that belief or not, it seems the majority of the American public -- or at least those who feel strongly about the situation -- is in favor of net neutrality. If you recall, around the time of the FCC's net neutrality vote, the organization opened up their proposal for public comment. According to a recent Stanford University study (first spotted by TechDirt) which eliminated form-generated comments and bot-filed comments from its results, 99.7 percent of the 800,000 humans who commented on Pai's "Restoring Internet Freedom Order" opposed net neutrality's repeal. 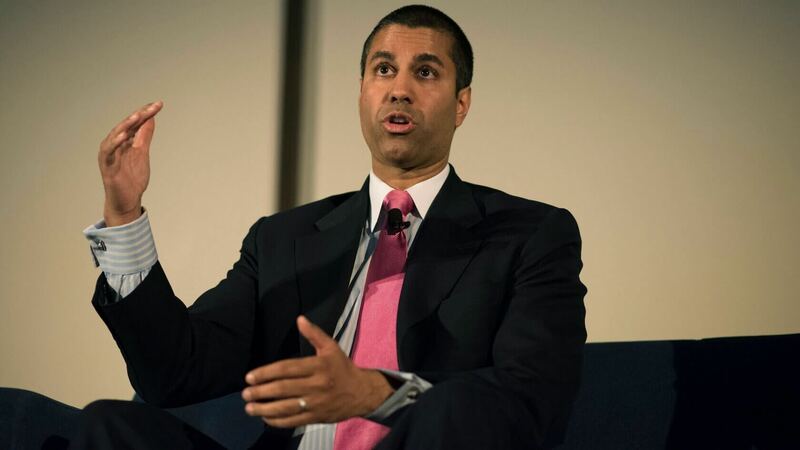 99.7 percent of the 800,000 humans who commented on Pai's "Restoring Internet Freedom Order" opposed net neutrality's repeal. Given the United States' status as a democracy, the fact that the FCC could -- and did -- make such sweeping rule changes despite widespread public opposition has proved concerning among net neutrality's defenders. Interestingly, though, those defenders are not strictly Democrats. "Polls have consistently shown that net neutrality protections are popular across party lines," the report reads. "While the highest number of unique comments come from traditionally Democratic urban districts, the average number of comments in all districts was 1,489, with an average of 1,202 in Republican-held districts." As intriguing as this information is, as with any other topic of this nature, it's important for you to do your own research. We would advise you to read Stanford's report for yourself and leave your thoughts on the matter in the comments. If only the majority knew what they were opening the door for, those numbers would be smaller. You don't open the door for regulation, unless you are willing to live with over-regulation. And then you have the question of how to regulate a international resource. That opens the doors to international conflicts. I'd be willing to bet you that the percentage for the form-generated comments is also 99.7. I'm sure the meat companies said the same thing about the meat industry during the industrial revolution as well yet here we are today with much safer meat products and just the right amount of regulation. It's an old saying but the threat of failure should not stop you from trying. If something turns out to be too much, then you as a citizen can vote people into office that reduces the regulation. Simple as that. Satish Mallya, Stark, veLa and 1 other person like this. I do not see that any of us can make the assumption that those who favored net neutrality did not know for what they were advocating. Your position is part of the 0.3-percent of the respondents - in other words, only 0.3-percent of respondents supported giving ISPs the ability to do whatever they want as long as the ISPs posted what they were doing on their web site. To me, that 0.3-percent supported a lack of control. Given the tendency of human nature towards greed, I do not see that as a good idea. In addition, the FCC has no authority over the internet outside of the US. If anything, giving ISPs the ability to do what they wish has the human-nature bound potential for them to charge any foreign entity significantly higher rates for access to the internet in the US. I don't see the basis for your reasoning. Those of us who favor NN have linked instances of abuse by ISPs that occurred before NN was in place, and is, in part, the basis that I see that makes NN a necessity. Perhaps you are willing to present a cogent argument as to why NN is such a bad idea with specific examples of how NN was bad for consumers or other entities that require internet service. In the meantime, it is clear from the content of this research that the current show runner at the FCC is not aligned with the populace that he serves. IMO, this is the biggest problem. Knot Schure, Khanonate, Stark and 1 other person like this. For the first part - ISPs engage in scummy practices. This much is widely known, and easily provable. Not reacting to this is necessarily folly. This is akin to objecting to police intervention while people are being robbed because you think it encourages a totalitarian police state - it's disingenuous, and purposefully obfuscates the issue by bringing up vaguely defined boogeymen. The internet works on the assumption of network neutrality; the assumption that traffic can traverse multiple networks to get to you and then back to the other party so that you can exchange information relies on those networks being neutral, or near enough neutral. This is what you pay your ISP for - to arrange for traffic to go back and forth freely, albeit at whatever rate you have negotiated with them. When they start manipulating which intermediate networks are okay to use (the Verizon/Netflix incident, for example), they are not doing it with your best interests at heart - the Verizon example is arguably because they wanted their own video service to replace 'slow, unreliable' Netflix for their captive subscribers. Left to themselves, ISPs will engage in all kinds of shady practices violating the fundamental concepts underpinning the internet, and you don't get to simply pick another ISP, because they have monopolies - I.e. the free market cannot fix the problem because there is no free market. The only alternatives left are to bend over, or regulate the ISPs. As for international issues, you're grasping at straws. TONS of countries regulate the internet within their borders - to restrict traffic, no less - and have been doing so for many years, and it hasn't caused anything like an international row. No reason why it should now, especially if the regulation is doing the very opposite of blocking traffic. There is nothing here for any other country to object to. Knot Schure, wiyosaya, Khanonate and 2 others like this. US is a Republic, not a Democracy. This is a capitalistic economy after all. It only makes sense that they'd collect your data and sell it as a product. It's like equifax offering identity protect when they are the one's who lost your personal information in the first place. Not a single punishment for what will likely cost Americans billions of dollars. A democratic republic (or representative democracy). Which, by definition, can be called a democracy (just not a pure democracy). All headed down the road to "Security in exchange for total obedience". "a government in which supreme power resides in a body of citizens entitled to vote and is exercised by elected officers and representatives responsible to them and governing according to law"
A democracy has individuals vote on laws. A republic people vote in representatives who vote on laws. The US is not a democratic republic, it is a federal republic. Powers reside in the states unless enumerated in the federal constitution. France is a democratic republic. It's, by definition, a democracy. FCC spammed their self so they could go ahead with Ajit Pai plan and take America from behind. Ahhh good ol' 'Murica. The freedom to get shafted by a monopoly is still freedom! Are you against Laws too? Laws and Regulations basically being the same thing, rules of conduct for people and institutions to follow, do you think that having some laws means that you're going to over-legislate? Perhaps we should scrap all of law too. wiyosaya, Khanonate and Stark like this. If they are from verified senders, they are legit. What exactly is your point? Knot Schure and wiyosaya like this. Khanonate and wiyosaya like this. People pick up a phone and expect to dial the North Pole if they want. Many have similar expectations of the internet, and fearmongers have whipped 96.3% of commenters into a fear frenzy their access will suffer without NN. The other 1% maybe have a good reason or 2, throttling or something. What's clear, there'll be a few tradeoffs with NN and without, but either way, you'll get to dial the North Pole. Sure, we're a democracy, representative, constitutional, but we're most correctly a FEDERAL REPUBLIC. They're teaching you guys half truths anymore in school, or maybe I'm just a nerd for the whole picture. So your argument is that with or without NN we can still make the call. I get it. However, I do not see your claims of fear frenzy as particularly valid when there are documented cases of abuses before NN went into effect. Netfilx/Verizon is not the only case. As I see it, you are making the exact same argument as Cliff above which has been politely and reasonably debunked by the majority of commenters to this thread. The difference without NN is that that call will likely cost significantly more to make. We have yet to see that because the NN/Pai NN debate will likely take years to resolve in court, and you can bet that no ISP at this time is willing to take on the extra costs of litigating any additional traffic charges in court since it is already being litigated. If it goes the Pai way, expect to pay significantly more for that call because ISPs simply will be able to charge you, and/or the providers of the services that are required to make the call, more for that call. You can bet that the ISPs will do anything they are legally allowed to do. According to the article, there is a highly likelihood that these commenters are bots. I admit I either missed the documented cases of abuse you mention, you don't use abuse just because you disagree with something, or maybe I just don't understand. I stand by the fear frenzy comment because I saw it first hand with young folks in my gaming community. Had them questioning whether they'd have internet after the vote took place. Obama left office, Trump will leave office, life goes on. I'd pay 3 times my current rate for internet and would rather see real innovation than stagnation. A proper government role might be "No throttling". Maybe because NN proponents won't use simple, real-world comparisons, it seems like they're worried about way more than internet fast lanes. I get the feeling it's on the list of invented rights common to Progressive thought. Are you against Laws too? Why would I not be against some of them. Half of them limit people and serve to pad someones pocket. And I can guarantee; if they ever start regulating the Internet. Those regulations will become the same way. The people at the top will regulate the dollar in their pocket by any means possible.